Norwegian Acquitted creators Siv Rajendram Eliassen and Anna Bache-Wiig backed for their new political thriller from Miso Film Norge. 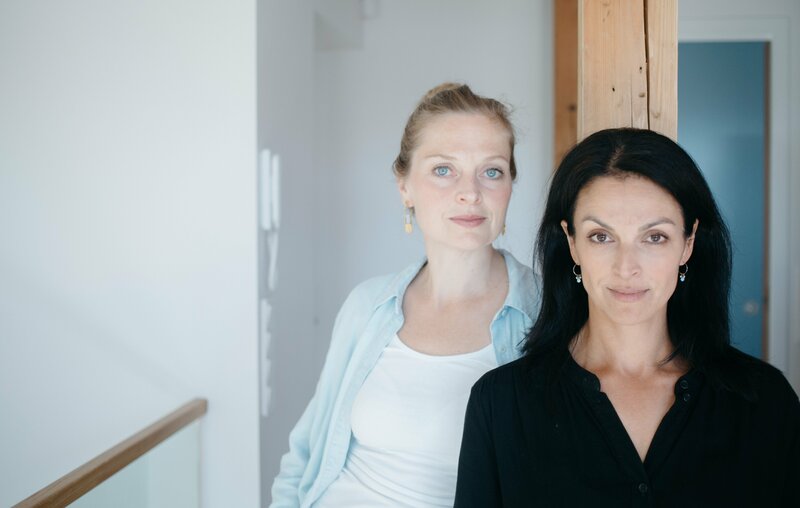 The Norwegian Film Institute has allocated €2.3 million (NOK 22,2 million) for the production of four drama series and two documentaries, including two political thrillers – one by Acquitted (Frikjent/2015-2016) creators Siv Rajendram Eliassen and Anna Bache-Wiig, whose Witch Hunt (Varsleren) received almost half - €1.02 million (NOK 10 million). "It is a pleasure to see that the interest to comment on our contemporary time is so close to the stage of Norwegian drama. It guarantees relevance and topicality, and I believe it establishes a genuine contact with the public, also internationally,” said the institute’s film and drama consultant Ståle Stein Berg. Rajendram Eliassen, who received an Amanda – Norway’s national film prize – for Fallen Angels (Varg Veum – Falne engler/2008) – most recently collaborated with author Bache-Wiig (who is also an actress) on the script for Norwegian director Erik Poppe’s award-winning Utøya: July 22 (Utøya 22. Juli/2018). Produced by the Miso Film Norge team of Cecilie Aspenes, Are Heidenstrøm, Peter Bose and Jonas Allen, and directed by Eva Sørhaug, the new TV2 series follows a woman who is only trying to do her job, and by a simple warning triggers a scandal of national proportions, with consequences to the top of Norwegian society. Dir: Roar Uthaug ao. Prods: Lasse Greve Alsos, Håkon Briseid, for Monster Scripted. Support: €0.62 million (NOK 6 million). She only tries to do her job, but her warning triggers a scandal of national proportions with consequences to the top of Norwegian society. With a driving plot of power struggle and corruption as an outer framework, the writers of Gjermund Stenberg Eriksen, Helena Nielsen, Hege Ulstein, Stephen Uhlander, Nikolaj Fobenius, Embla Josefine Veier Bugge and Henner Schulte-Holtey go deep into the psychological, relational and political consequences of alerting. Elias has been called to the headmaster’s office to explain why he has thrown a a water balloon against a fellow student. But in Emir Mulaosmanovic and Oda Radoor’s script – instead of apologising, Elias’ "What’s up, biatsj?" starts a blissful disaster drama, with each episode described in a three-minute rap song, 20 in total. Dir/Scr: Jon Iver Helgaker, Jonas Torgersen, for Viafilm. Support: €41,450 (NOK 400,000). Described as a prequel, set in 789 before the first Viking race to the west, Helager and Torgersen’s series follows Chief Olav and Hildur steering Norheim with steady hands, while Jarl Varg has started an all-encompassing war and needs the Norheim Vikings’ loyalty. Dirs: Thomas Robsahm, Aslaug Holm. Prod: Motlys. Support: €25,906 (NOK 250,000). The story of three friends who created Norway’s most successful pop group of all times and then fell out with each other. The film follows a-ha during three years of its career. Dirs/Scr: Ragnhild Nøst Bergem, Erlend Eirik Mo. Prods: André Folkestad, Camilla Vanebo, Finn Gjerdrum, for Herlig Film & TV. Support €124,35 NOK 1.2 million). Jan, Mimi and Sigvald suffer from dementia and experience in different ways how everyday life becomes increasingly difficult. It is like losing yourself while continuing to live for a while – but music makes it a little easier.